Receive the most comprehensive car history report in the UK today. The RAC vehicle history report gives you vital vehicle history information and essential advice from the motoring experts. 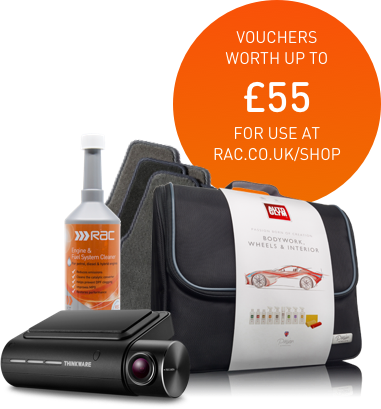 Save £20/£30 on a Thinkware F800 Dashcam, £5/£10 discount on selected Autoglym products, £5/£10 off personalised tailored car mats and £5 off a premium european driving kit!